1. 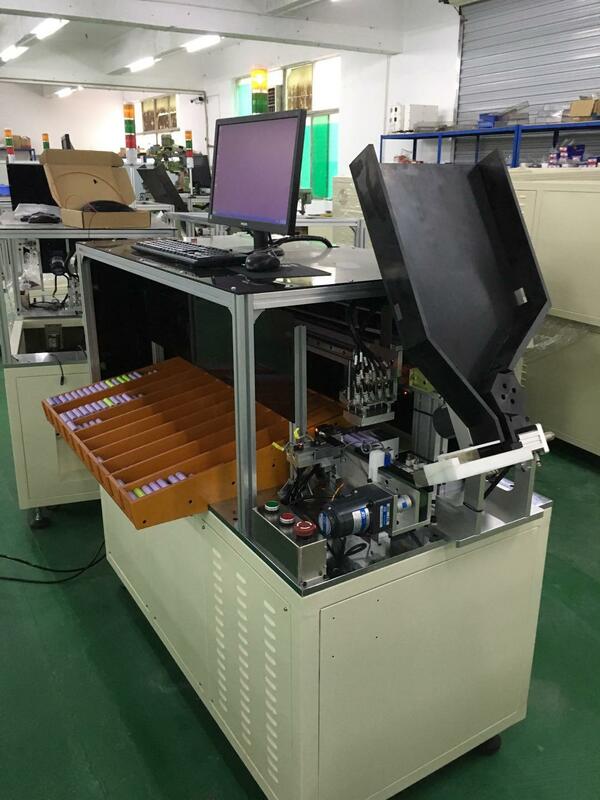 18650 li-ion batteries test & sorting machine. 2. Used for factories automatic production in power banks, laptops and ebikes. 3. 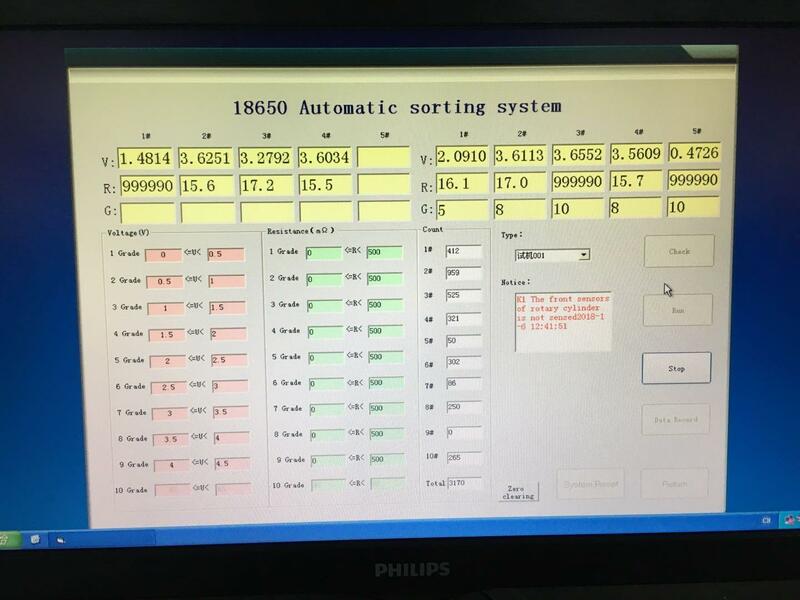 Test & sort 5000pcs batteries per hour. 0-1 worker to operate the machine, fast and with great efficiency. Can be connected to next machines to move on to work next procedure automatically. 4. 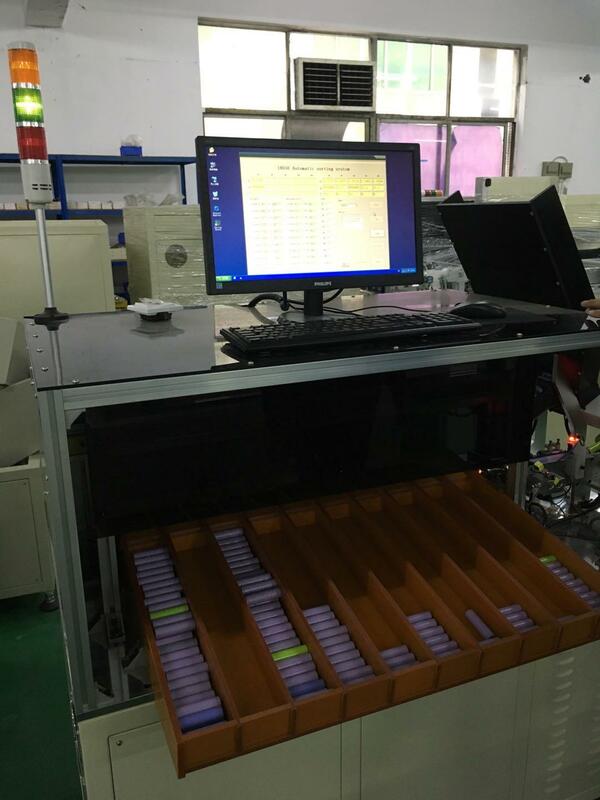 Touch screen operation, easy and fast responding. 5. Customers can set the voltage and internal resistance by themselves. 6. Overseas sales office in Chennai, Tamil Nadu, India. 7> 12 months warranty and life-time maintenance.